In 2016, New York City had the third-worst traffic congestion in the world. New Yorkers spent an average of 89 hours sitting in traffic, and, due to increased vehicle traffic, car speeds are declining city-wide. From 2010 to 2015, the average traffic speed in Manhattan’s Midtown region decreased 20 percent, to 5.21 mph. The inefficiently and congestion is putting New York City’s future economic growth and competitiveness at risk. Currently, it is estimated that traffic congestion costs the region US$13 billion each year, and this number is expected to grow. To combat individual car-use, New York City decided to employ congestion charging, a well-known strategy for TDM, where vehicles are charged a fee to enter Manhattan during peak hours. City officials saw it as a viable option to solve their congestion challenges. In 2007, former mayor of New York Michael Bloomberg introduced congestion charging legislation as part of his PlaNYC Sustainability Plan. After Bloomberg’s proposal was introduced to the New York State Legislature, a commission explored different approaches for implementation. The commission ultimately decided to charge a $8 daily fee to all cars traveling in Manhattan between 6 a.m. and 6 p.m. on weekdays. Tolls collected on various city bridges and tunnels would offset the charge to ensure no driver would pay more than $8 per day. The proposal stated that proceeds from the charge would be used for improving mobility infrastructure. Most residents supported the plan, as a result of its promise to enhance city infrastructure. In a 2008 poll, 59 percent of residents voted in favor and 38 percent were opposed. 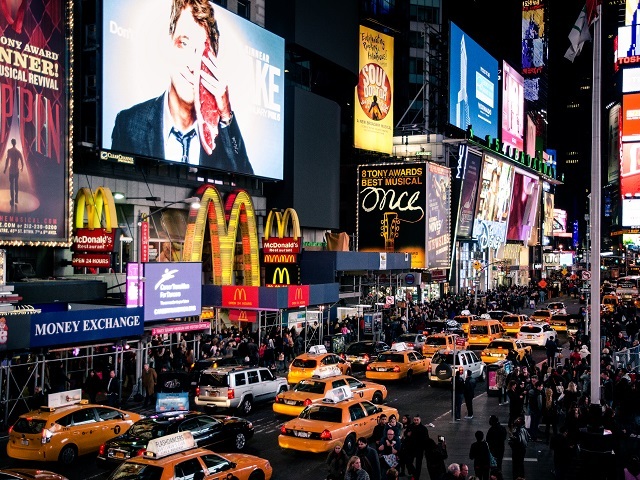 Unlike other cities that have implemented congestion charging, New York needed to get approval from three legislative bodies: the New York City Council, both houses of the New York State Legislature (Senate and Assembly) and the Governor of New York. The City Council supported congestion charging by a vote of 30-20. While the Senate was expected to approve the plan, the Assembly was not supportive, thereby blocking the vote and allowing the short window to acquire federal funding to close. Without funding, the bill died and the congestion charging plan with it. Most of the Assembly’s opposition stemmed from members representing the outer boroughs of the city (Queens and Brooklyn) who highlighted the financial impact on people (although only 5 percent of residents commute by car and would pay the congestion charge). Their main arguments included the feasibility of using public transit as an efficient alternative to driving, the cost-benefit of saving time driving versus the charge and looking at congestion charging as a realistic means to decrease city congestion. The plan gained support through a strategy developed by the mayor, key constituents, elected officials and advocacy groups. There was extensive public outreach and involvement to connect the benefits of congestion charging to improving transportation options and achieving sustainability goals. In the end, however, this strategy wasn’t enough. For a congestion charging proposal to pass, it is critical to persuade elected officials, for they hold the vote. In New York City, many small interest groups have the ability to influence the decisions of elected officials, but, in this case, there was an apparent lack of communication. Since the proposal’s demise, there have been several attempts to revive congestion charge in Manhattan. An ongoing discussion includes introducing tolls for all East River crossings into Manhattan. Currently, only the tunnels are tolled, while the bridges are free. The Move NY Fair Plan, a bill introduced in 2016, would toll bridge crossings and revenues would fund public transit and road infrastructure. The bill was introduced in the New York State Senate but has yet to be voted on. New York City remains an example of how difficult it is to influence public opinion, elected officials and ultimately implement TDM strategies. The lessons are helpful in advancing a successful agenda for implementing TDM measures in other cities around the world. In upcoming blogs, this series will explore diverse global experiences to provide valuable input to planners and decision makers facing urban mobility challenges.